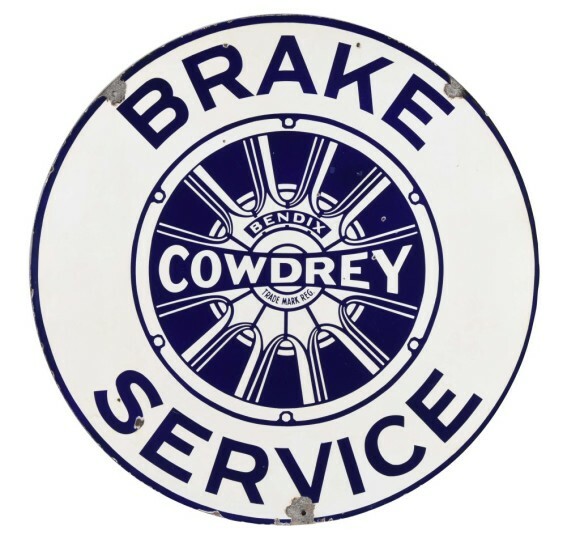 Made in navy and blue, this round Cowdrey Brake sign measures 36″ across. The inner circle of the sign has a design that looks like rims to a car, with illustrated breaks inside the rims. The text reads “Cowdrey Break Service, Bendix, Trade Mark Reg”.